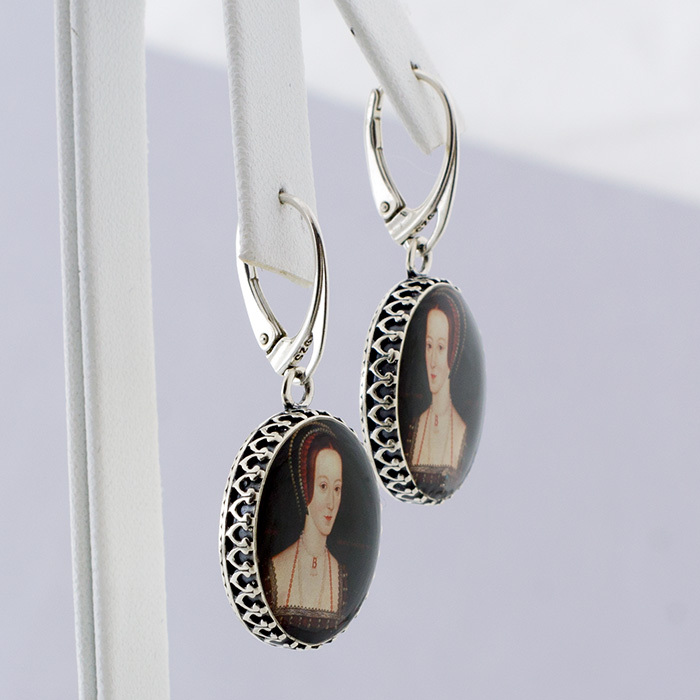 These beautiful, unique and collectible sterling silver earrings feature a late Elizabethan portrait of Anne Boleyn by an unknown artist. 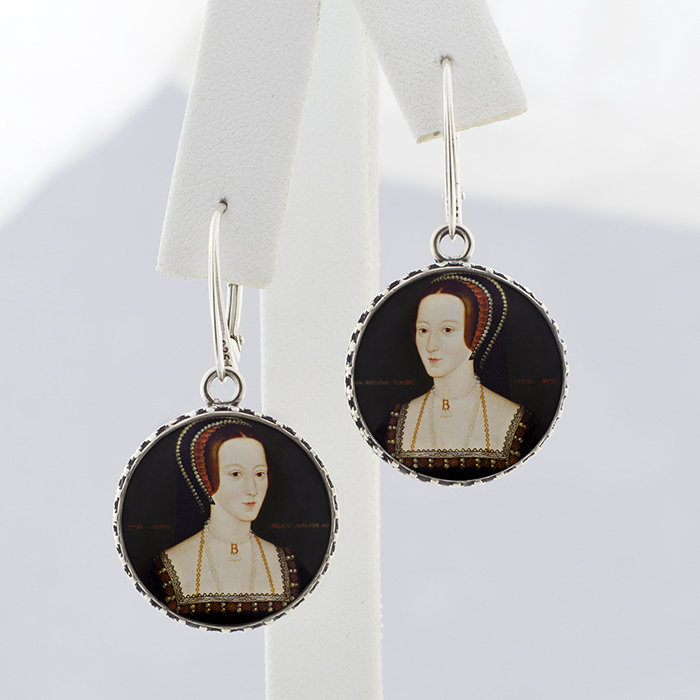 Round drop earrings with lever-back ear wire findings. These gorgeous earrings are hand fabricated cast in sterling silver with a lovely filigree edge. Dimensions: Earring Size is approx. 1 3/5″ long x 4/5″ wide (40mm long x 20mm wide), Image size is approx. 4/5″ (20mm) diameter.